When Hollie Stephenson looks over the shiny metal brew tanks on the work floor at Highland Brewing Company in Asheville, she’s pretty pleased. Not only because, as Highland’s brewmaster, she enjoys watching great beer come to life, but also because she sees a growing number of women involved in the process: Of the five people on the floor, two are women. “I like the way that looks,” she says. One of those women is her boss, Leah Wong Ashburn, president of the 23-year-old company. And there’s Anna Sauls, Highland’s sensory scientist. Two of the company’s eight brewers are women. 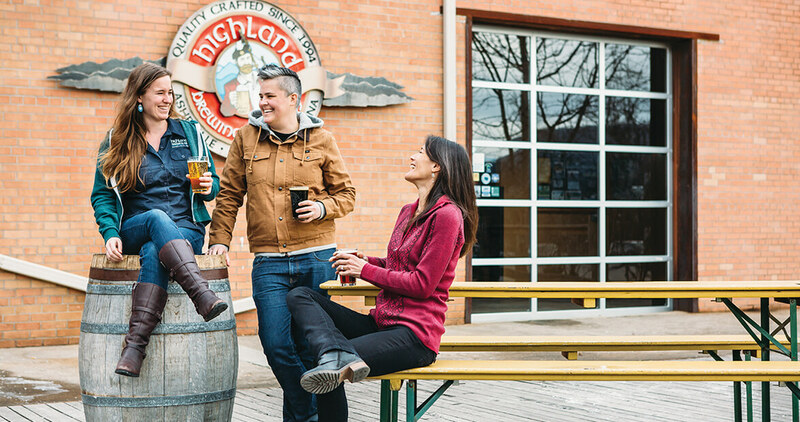 What’s happened at Highland, one of the state’s oldest craft breweries, is significant because it’s still rare in the industry to find women in positions such as president or brewmaster. That may change soon — the number of women around the state who are working with hops and malts continues to rise. 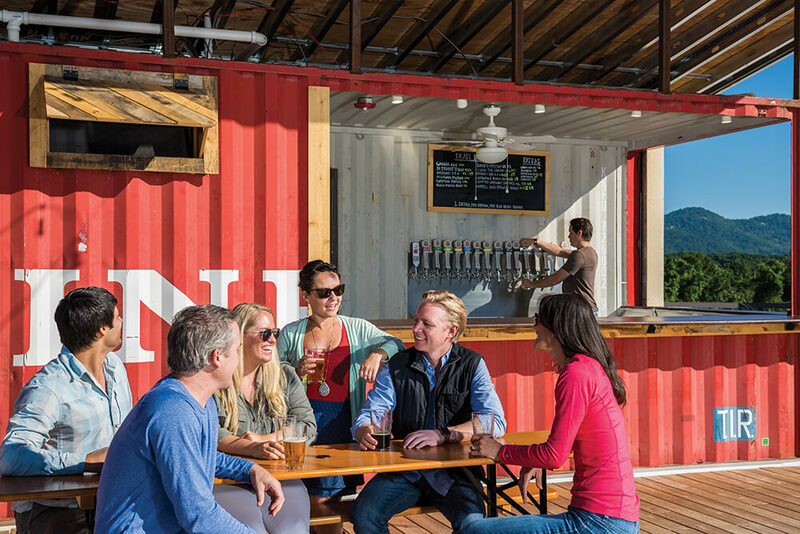 At Raleigh Brewing Company, Newgrass Brewing in Shelby, Legion Brewing in Charlotte, Bombshell Beer Company in Holly Springs, and others, women are bringing new expertise and a fresh point of view to what’s on tap. Diversity wasn’t what Hollie Stephenson saw when she went to beer-making school five years ago. She was the only woman in her class. But the situation is changing for a number of reasons, from the increased presence of women in science and engineering studies to the simple fact that more women are enjoying craft beer, according to the North Carolina Craft Brewers Guild, a nonprofit that promotes the state’s 180-plus craft breweries. More women are experimenting with home brewing, too, which is a common first step to a job in brewing. Still, conventional wisdom used to be that women couldn’t handle large-scale brewing because they weren’t strong enough to haul heavy bags of malts and grains. Stephenson, who became brewmaster at Highland in September 2016, dismisses that idea. “Really, if you’re designing processes that a normal young woman can’t do, you’ve probably designed your process very poorly. There will be men who can’t do it, either,” she says. Ironically, up through the Middle Ages beer making was considered women’s work and was done at home. Around the mid-1500s, that began to change, and by the time brewing became big business centuries later, it had turned into a boys’ club. Practically everyone at Highland ends up on the taste panels that Anna Sauls organizes, where 20 men and women gather to sample new beers. Panelists taste beers twice during development, then once more after packaging to ensure quality. Sauls points out another factor that may contribute to women’s growing interest in brewing: Going to a tasting room at a craft brewery is different from heading out to a bar. It’s a cultural experience with the purpose of exploring different beer styles rather than focusing on partying, and that environment may appeal to women. Ashburn talked about brewing with her father all the time, but she didn’t go into the beer-making side of the business initially. She worked in sales and marketing before taking over as president in 2015. Ashburn believes that women’s palates differ from men’s, so more flavorful beer may appeal to them. She works to convert women wine drinkers to beer drinkers by reading those palates. “If you drink red wine, then I suggest the darkest beer we have, to look for complexity,” she says. Ashburn was thinking about flavors that might appeal specifically to women when Highland began to develop a raspberry blonde ale. When it reached the taste panel, she was pleasantly surprised.